Sergeant Clutch Discount Towing Service in San Antonio, Texas Dispatch Center is ready for your call 210-239-1600 Anytime 24 Hours A Day / 7 Days A Week and we can handle any type of situation. Sergeant Clutch Discount Towing Service in San Antonio has the right equipment for your towing needs. From light duty trucks for accessing parking garages and routine tow calls, a versatile tow truck that can navigate crowded highways and tow a wide range of heavy duty trucks. Sergeant Clutch Discount Towing Service in San Antonio provides light duty tow trucks and flatbed tow trucks - specifically designed for any four wheel automobile. Light duty tow trucks can tow all types of cars and trucks with state-of-the-art wheel lift systems. 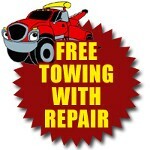 Our light duty tow trucks are also used to tow all types of automobile from exotic to fleet vehicles. Our flatbed tow trucks provide damage-free towing for exotic and low profile vehicles. These tow trucks are especially designed for low clearance underground garage parking access. Sergeant Clutch Discount Towing Service in San Antonio provides towing and roadside service 24 Hours A Day / 7 Days A Week. Our dispatchers are knowledgeable and ready to assist you by sending the right kind of tow truck and equipment. Our dispatchers are personnel for your situation at any hour of the day or night. Sergeant Clutch Discount Towing Service in San Antonio offers medium and heavy duty tow trucks to easily manage larger, heavier trucks and equipment. Our skilled tow truck operators are specially trained to handle heavy vehicles and know how to transport your vehicle safely from point A to B, damage-free. Medium duty automobiles are 10,001 lbs to 26,000 lbs and automobiles over 26,001 lbs to 49,999 lbs are in the heavy duty category. Depending on the equipment installed on the tow truck, some medium duty automobiles may require a larger tow truck to tow them. Sergeant Clutch Discount Tow Service in San Antonio can tow semi-tractor trailers and bobtails with our under-lift equipment. Our heavy-duty tow trucks haul most large vehicles including tractor trailers, tour / city buses and large fleet trucks. Our heavy-duty rotator has dual winching capabilities of 60,000 lbs. per winch and a boom capacity of 60 tons. Our tow truck operators have years of experience winching a variety of vehicles and equipment including; tractor-trailers, concrete trucks, dump trucks and heavy excavating equipment.